A large indoor bathing room for men. A large indoor bathing room for women. An open-air large bathing room with splendid view of mountains in Hakone. *The open-air onsen is alternately available for men and women. At Hotel Senkei and Yamagaso, there is private bathing in your room. We also have Kashikiri-buro, or bathing rooms for private rental at Yamagaso. There are two types of Kashikiri-buro bathing rooms, a large type, and a medium type. Kashikiri bathroom is available for 24 hours a day. The Japanese have an extreme love for hot springs. Hot springs resorts are where you can go to slowly unwind, washing away the fatigue from everyday hard work. Senkei Onsen is popular amongst those Japanese with a love for hot springs, so we encourage you to give us a try. Our hot springs are efficiently designed, so it is easy even for beginners! with beautiful clear water you can easily dip into. and makes them great for relieving fatigue and revitalizing the body. Gives you beautiful, smooth skin! 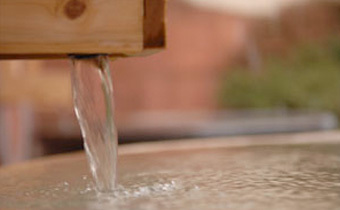 Some of our onsen contain the alkaline PH8 and 5. These thermal alkaline hotsprings are also known as "Beautiful Skin Baths." That is to say, it exfoliates and leaves you silky smooth. meta silicate is also included in the onsen. and their focus on cosmetic benefits. Please be sure to come and give us a try! How to take a bath, Japanese style! You are only to go inside the bath tub after you washed your body. Firstly, you are to rinse your body with hot water. Washing beforehand helps to keep the water in the bath tub clean. Bring with you the small towel that will be provided with you and please do not put the hand towel into the bath tub water. Most people place the towel on their head. And remember do not use any soap or shampoo or other skin cleansers in bath tub. * For more information about bathing etiquette, click here.